In few days, the Olympic flame will light up in Pyeongchang, South Korea and Omega as the official timekeeper unveiled yet another collection dedicated to the rings of the Olympic Games. 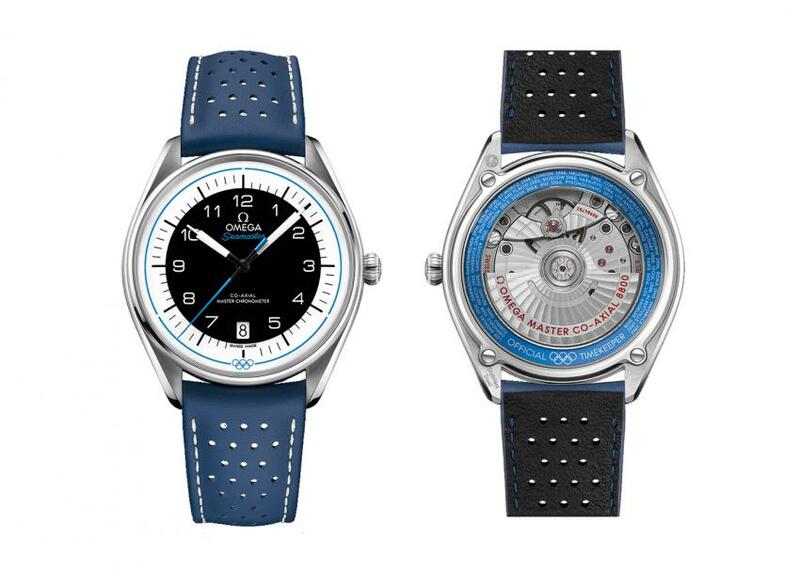 Following the Planet Ocean “PyeongChang 2018” and the Aqua Terra “PyeongChang 2018”, the new Seamaster Olympic Games Collection is overall a celebration of the brand’s long history with Olympic Games. 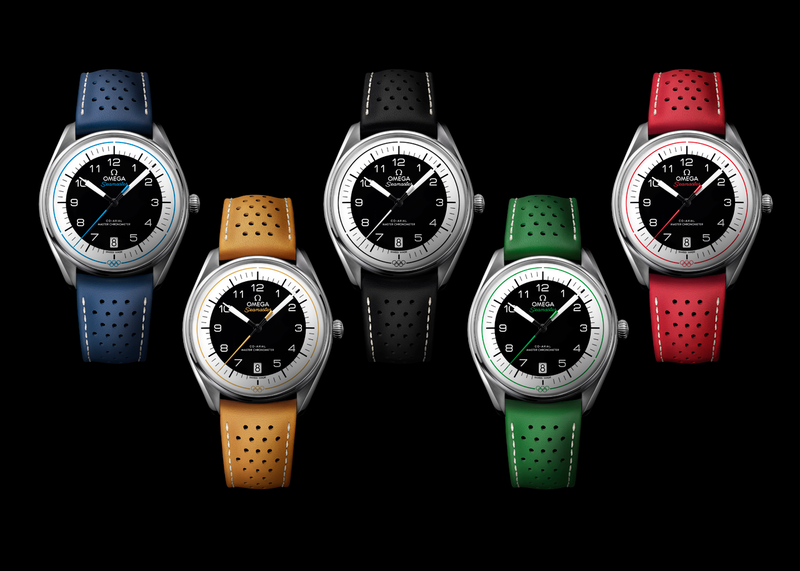 Five watches, five colours, with models in black, yellow, green, blue or red, they are inspired by Omega stopwatches from the past, particularly those used at the 1976 events in Montreal and Innsbruck. The centre of the domed dial is black with black indexes extending on the white outer ring. I find it really attractive that the Olympic theme is rather discreet but it’s still visible from the dial, with tiny Olympic rings at six o’clock. To further enhance the watch’s athletic spirit, there’s also a coloured pulse reader encircling the dial, with three narrowly-separated 20-second timing intervals, enabling the wearer to easily calculate their pulse beats-per-minute. On the caseback, there is an anodized alu­minium ring which includes all known host cities and dates from OMEGA’s Olympic Games journey, from Los Angeles 1932 up to Los Angeles 2028. This impressive list shows exactly how OMEGA has estab­lished its name at the event over so many years. It is powered by a METAS-certified Master Chronometer calibre 8800. Each colour is limited to 2032 pieces, a reference to Omega’s role as Official Timekeeper of the Games which extends till 2032.